The 1995 Kansas Jayhawks team had future NBA players Raef LaFrentz, Jacque Vaughn, Greg Ostertag, Scot Pollard and Billy Thomas on the roster, but a much lesser known name cracked the starting lineup for the Big 8 championship game against Oklahoma State that season, Scott Novosel. 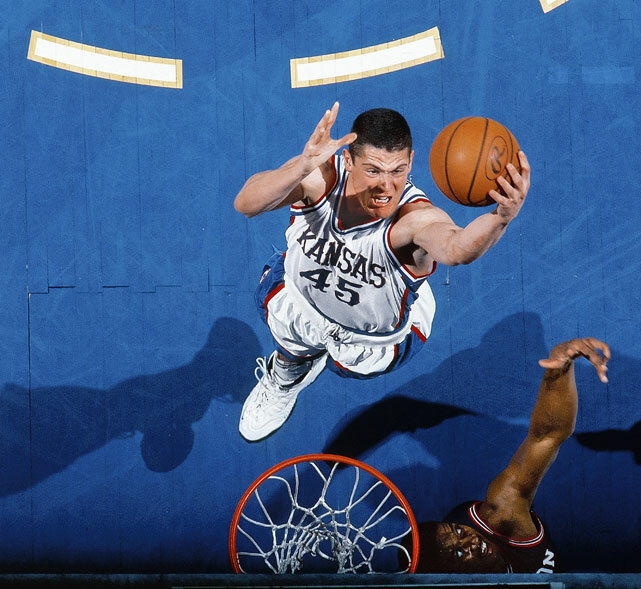 The 1995 Kansas Jayhawks team had five future NBA players, including Raef LaFrentz and Jacque Vaughn, on the roster, but a much lesser known name cracked the starting lineup for the Big 8 championship game against Oklahoma State that season, Scott Novosel. 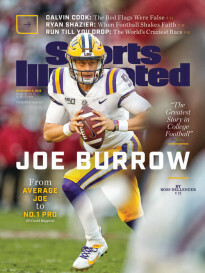 Novosel is now turning his journey from an undersized kid with a big dream to one of the biggest stages in college sports into a children's book called Fieldhouse with the help of artist Sam Sharpe. 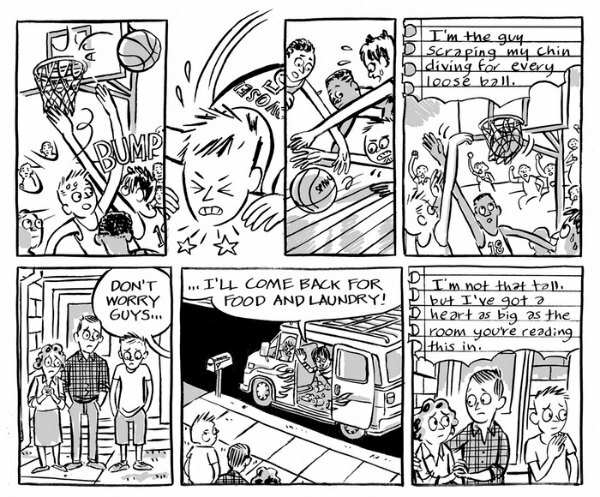 Former Jayhawks walk-on Novosel says he has been trying to turn his life into an inspirational story for kids since that day in 1995, and now you can help him reach that goal through his new Kickstarter campaign. The pair is looking to raise $15,000 to take the book to press and hope to have the book shipped by November of this year. Kansas doesn't just produce great players -- they churn out more than their fair share of coaches, too. 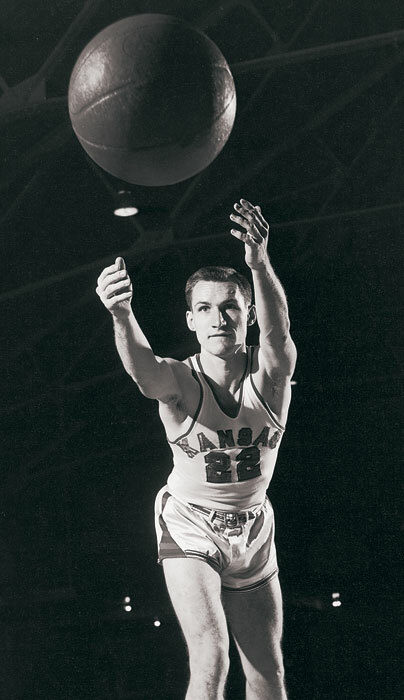 Here, legendary North Carolina coach Dean Smith is shown in his Jayhawks jersey. Other notable coaches with Kansas ties include Roy Williams, Bill Self, Larry Brown, Adolph Rupp and "The Father of Basketball Coaching," Phog Allen. 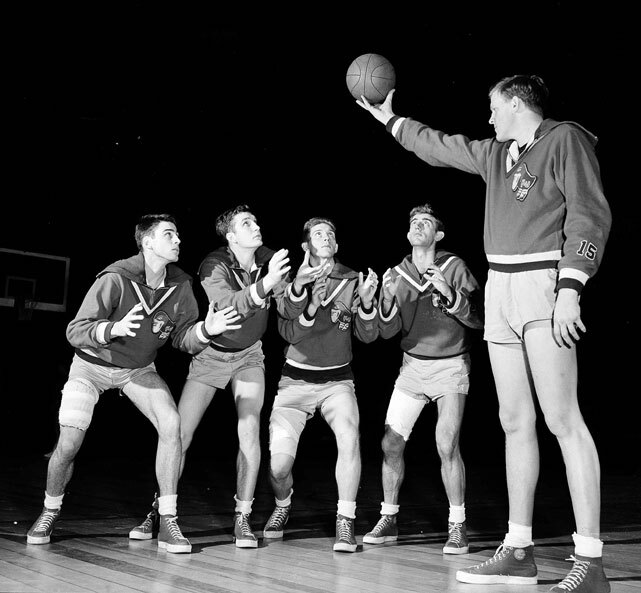 Clyde Lovellette toys with his shorter teammates, holding the ball above their heads as they "jockey" for position. That's pretty cruel, Lovellette. 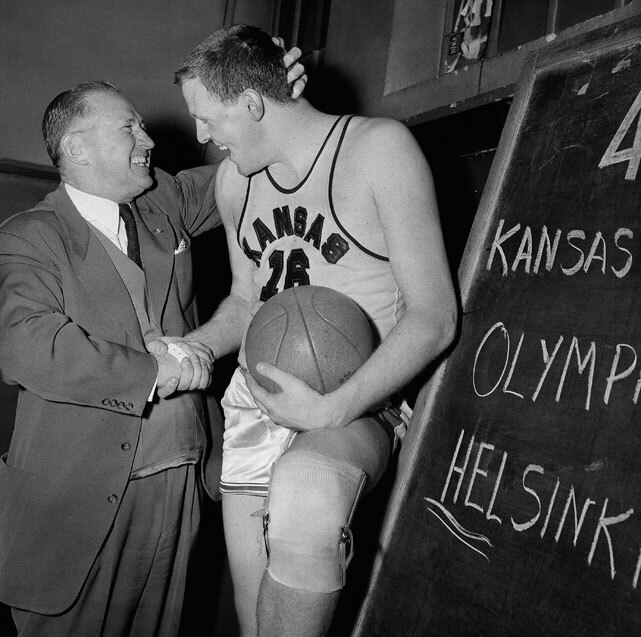 Coach Phog Allen congratulates star center Clyde Lovellette after a win in the semifinals of the 1952 Olympic Basketball trials. One of the greatest players in Jayhawks history, Lovellette was the first basketball player ever to win a NCAA, Olympics and NBA championship. 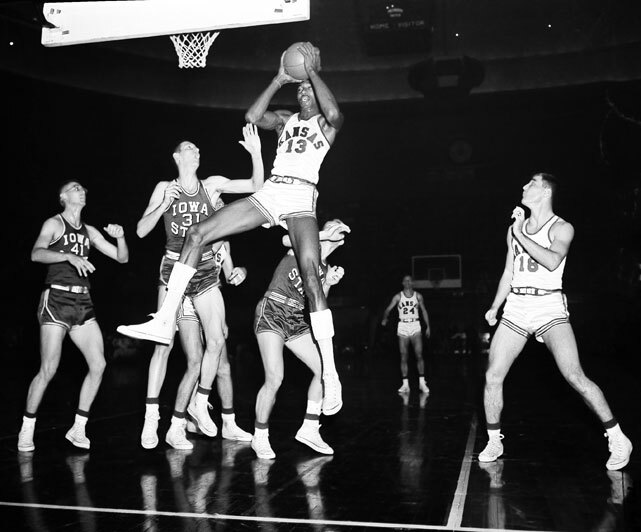 Wilt Chamberlain grabs a rebound during a 1956 game against Iowa State. During his college career he averaged over 30 points per game and was twice selected to All-American teams. 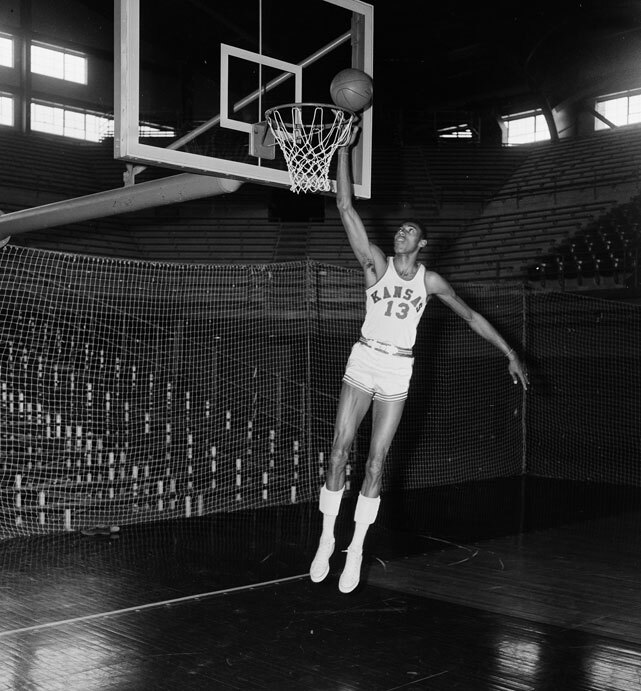 Chamberlain played two seasons for the Jayhawks and averaged 30 points and 18 rebounds per game. 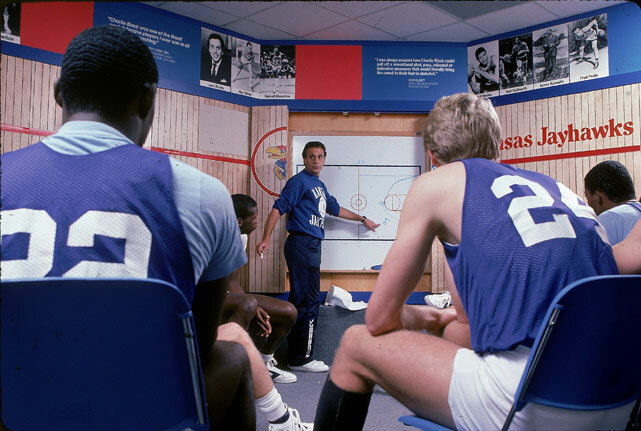 Legendary coach Larry Brown coaches during a 1984 team meeting. Brown coached at Kansas from 1983-1988, winning the 1988 title but leaving under a cloud because of recruiting violations uncovered by the NCAA. Danny Manning cuts down the nets after leading the Jayhawks to the national title over conference rival Oklahoma. Manning was named the tournament's Most Outstanding Player. 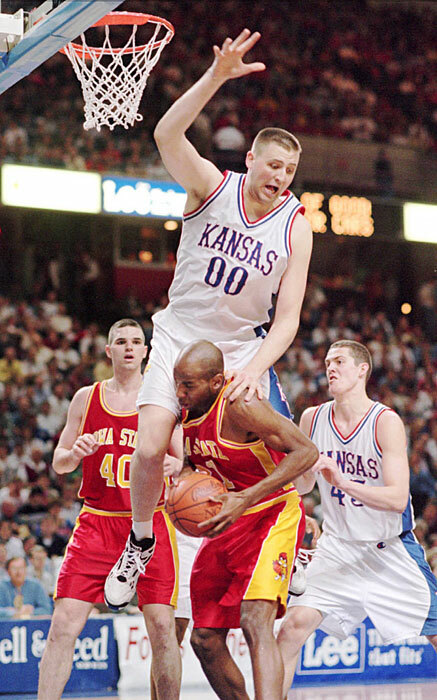 Center Greg Ostertag fouls an Iowa State player during a 1995 game. Ostertag, who helped the Jayhawks reach the 1993 Final Four, finished his Kansas career as the school's all-time leader in blocked shots. 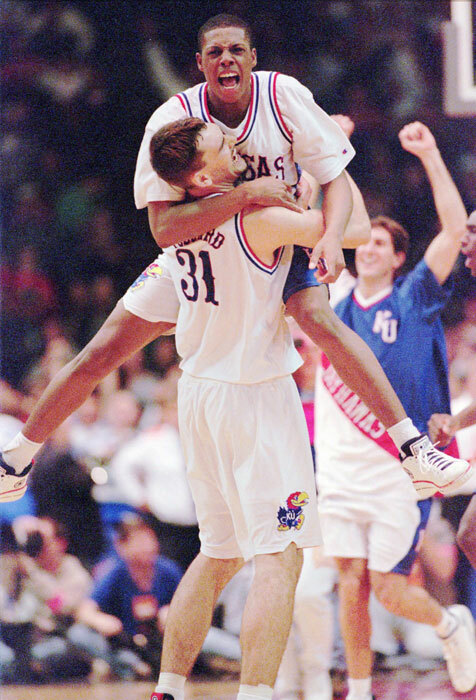 Paul Pierce (34) leaps into the arms of Scot Pollard (31) after Kansas beat Arizona 83-80 to advance to the 1996 Elite Eight. Pierce is one of many current- and former-NBA stars who attended Kansas. 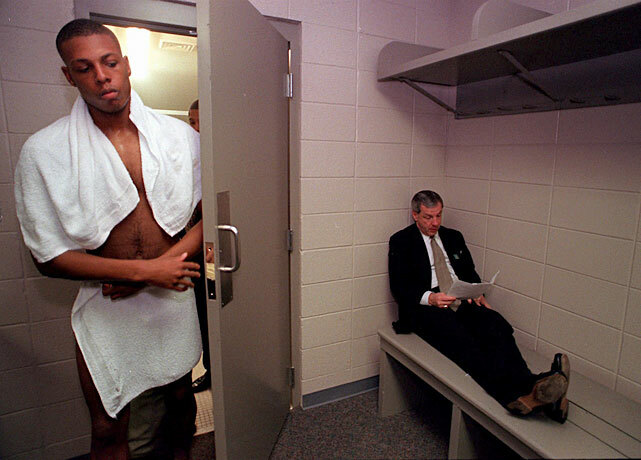 Paul Pierce comes out of the shower as coach Roy Williams sits dejectedly in the corner of the locker room after Kansas lost 85-82 to Arizona in the 1997 Sweet Sixteen. Pierce's No. 34 is retired by Kansas. 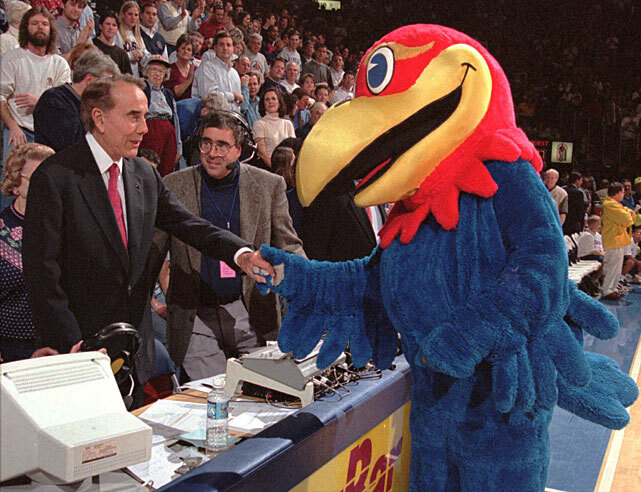 Former Kansas Senator Bob Dole shakes hands - or should it be shakes wings? -- with the Jayhawks mascot in this 1998 photo. 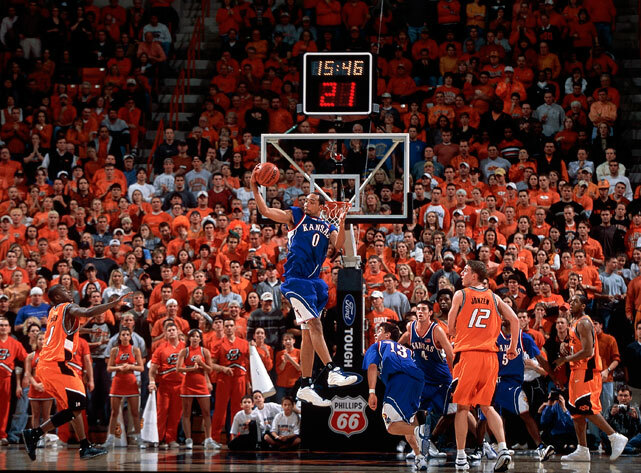 Drew Gooden snags a rebound in a 2002 game at Oklahoma State. Gooden teamed up with classmates Nick Collison and Kirk Hinrich to lead the Jayhawks to the 2002 and 2003 Final Fours. 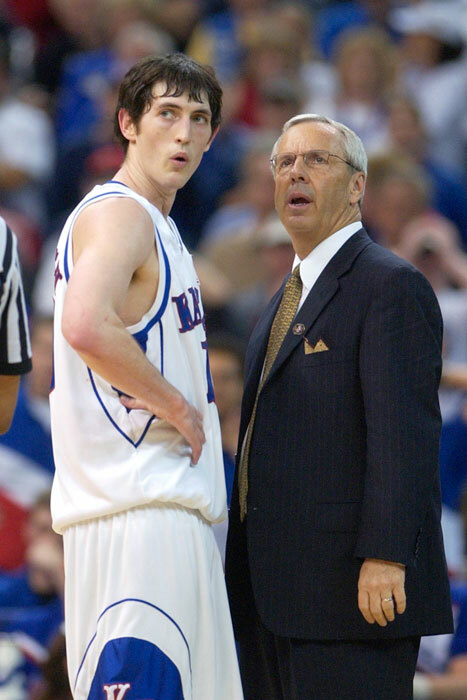 Roy Williams and point guard Kirk Hinrich look onto the court in the closing moments of the Jayhawks' 2003 title game loss to Syracuse. Hinrich teamed with Collison to lead Kansas to two straight Final Four's. Like his teammate and fellow Iowan Collison, Hinrich's Kansas jersey is retired. 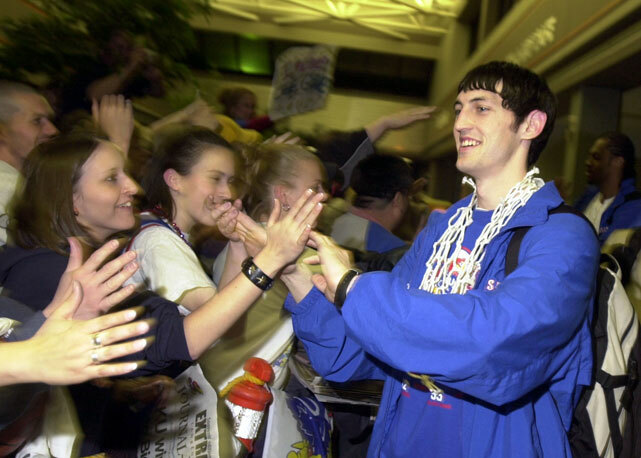 Kirk Hinrich greets fans at Forbes Field Airport in Topeka, Kansas upon the Jayhawks' return from their 2003 Elite Eight victory over Arizona. 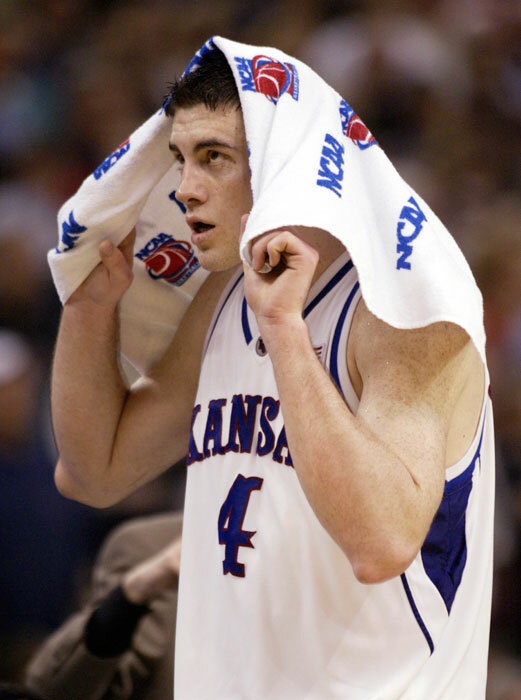 Current Oklahoma City Thunder center Nick Collison watches in the final minutes of Kansas' 81-78 loss to Syracuse in the 2003 national championship game. Collison helped Kansas reach two consecutive final fours and finished his career as the Big XII's all-time leading scorer. His No. 4 jersey was retired by Kansas in 2004. Sherron Collins (4), Darrell Arthur (00), Mario Chalmers (15), Sasha Kaun (24) and Brandon Rush (25) walk onto the floor during a 2008 NCAA Tournament game against Villanova. 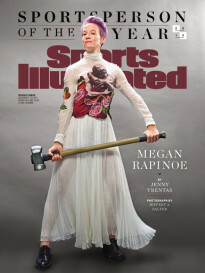 The Jayhawks would go on to beat Memphis in the national championship game for the school's third NCAA title. 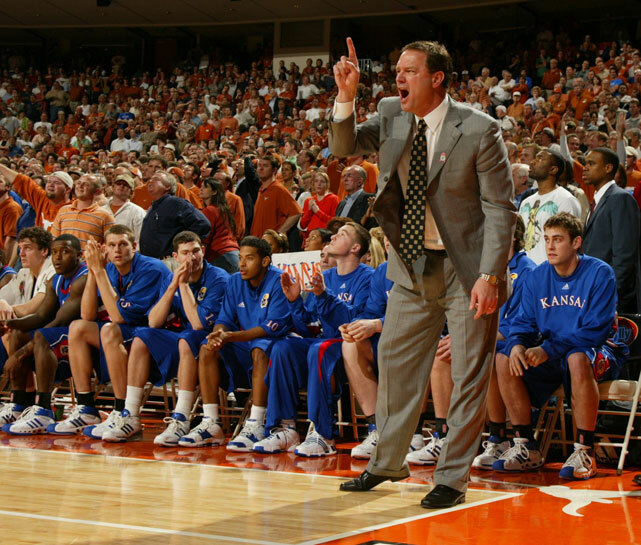 Coach Bill Self points while on the sidelines during a 2008 game at Texas. A five-time finalist for the Naismith Coach of the Year Award, Self has won at least a share of the Big XII regular season title in eight of his nine years in Lawrence. 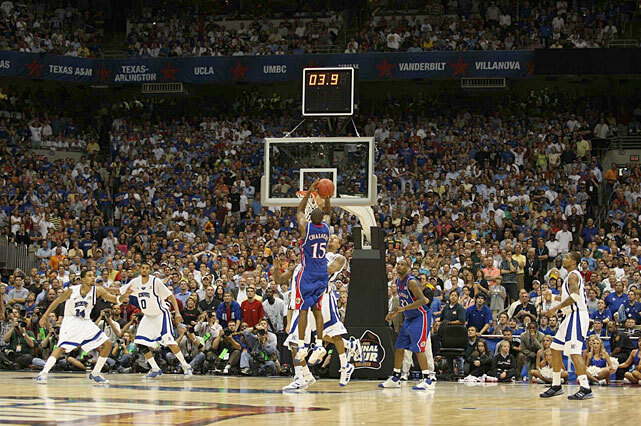 Brandon Rush shoots a three in Kansas' 2008 Final Four matchup against North Carolina. Rush led all scorers with 25 points to propel the Jayhawks past the Tar Heels, who were -- and still are -- coached by former Kansas head coach Roy Williams. Mario Chalmers hits a game-tying three over Memphis point guard Derrick Rose to force overtime in the 2008 NCAA championship game. Kansas, which was down nine with 2 minutes, 12 seconds remaining, easily handled Memphis in overtime, beating the Tigers 75-68. Twin brothers Markeiff and Marcus Morris talk during a timeout of a November 2010 game. The Morris brothers both left Kansas for the NBA after the 2010-11 season, with Marcus going to Houston and Markeiff playing for Phoenix. 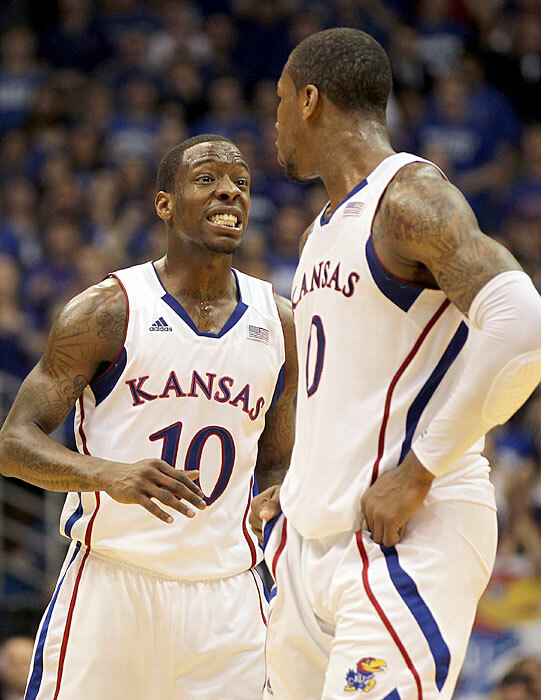 Tyshawn Taylor (10) reacts with Thomas Robinson (0) as their Feb. 25 game against longtime rivals Missouri goes into overtime. Kansas overcame a 19-point second half deficit before beating the Tigers in OT. Robinson, Taylor and their Jayhawks teammates are expected to be a No. 1 seed in this year's NCAA tournament.